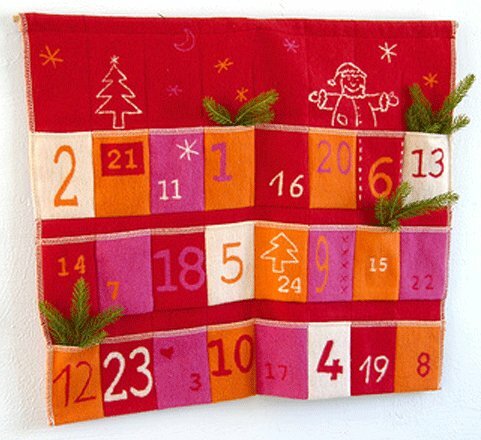 Tomorrow the month of December begins, along with one of my favorite holiday traditions: the advent calendar. Although the advent calendar of my childhood will always remain my ideal, there are many inventive and creative designs that makes the advent calendar more than just another decoration. The calendar above, by David Fussenegger, is one example. 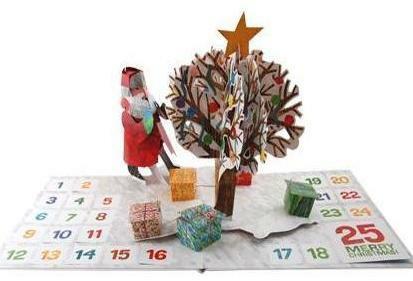 The Eric Carle Dream Snow pop-up advent calendar. 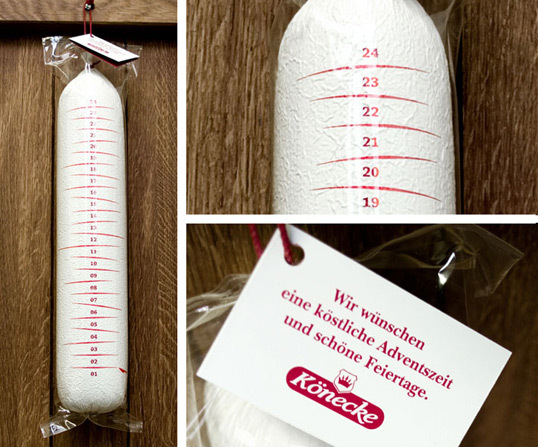 The Könecke Advent Sausage, designed by Butter, is truly German. 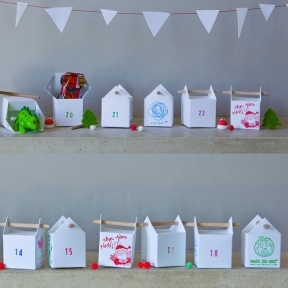 Noix de Coc advent boxes that can have left two sides of the box blank for custom designs (via Bodie and Fou). 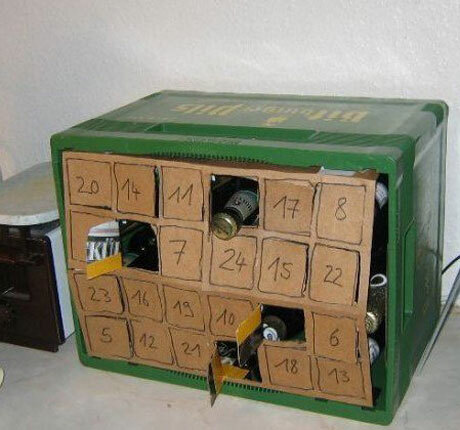 A DIY Beer advent calendar. 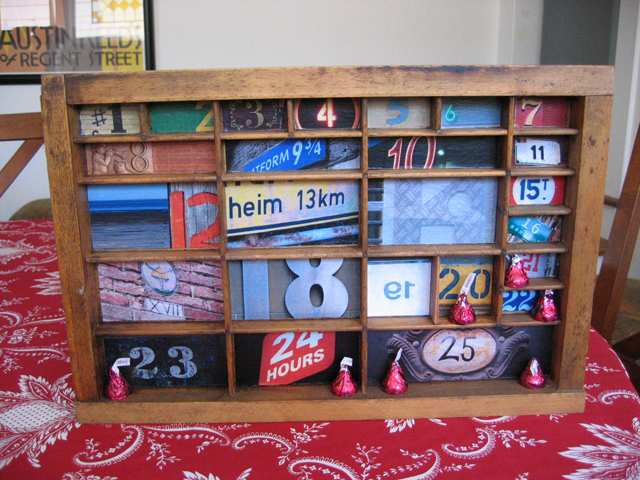 And Modern Cottage's calendar made from an antique type drawer.